Cyclist will boycott next Summer Deaflympics if ICSD do not change their ways. 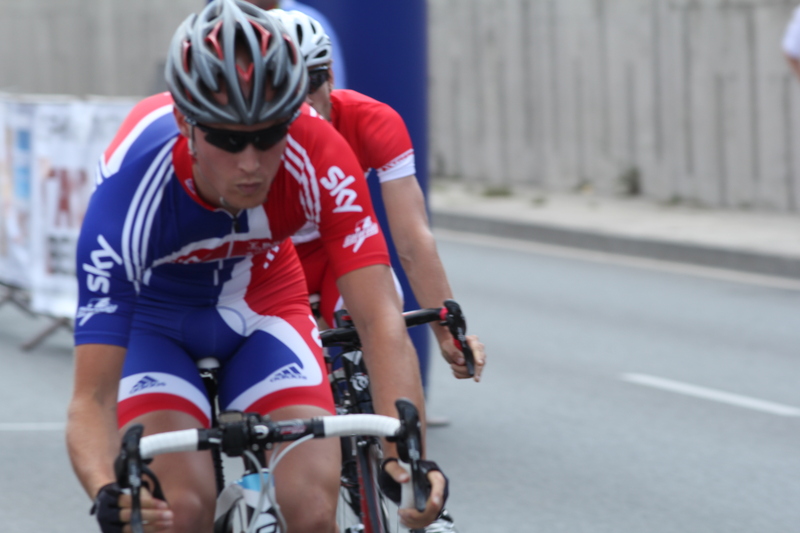 Professional cyclist and Deaflympic silver and bronze medal winner, Tom Smith from Wales has responded to the latest news on the falsification of audiograms. “Your recent article on the falsification of audiograms by the Russian leadership of Deaf sport has touched me in a negative way. I am really disappointed about what I have read. I have never been comfortable about the outcome of the election at the ICSD Congress in Sofia 2013, where America and Great Britain promoted clear mandates and manifestos in their election campaigns. The Russians provided neither a manifesto nor even a general plan on what they were going to achieve. Since then, the ICSD President; without reason, has sacked its entire staff, the majority of whom was British and brought in an abundance of Russian personnel. After this I learned that at the European Swimming Championships (held in Russia), all doping controls were held on the final day after a week’s worth of competition, and not all events were tested. This alone makes a mockery of sporting values, and towards WADA. The Russian ICSD have made no improvements to deaf sport, no improvements to doping control, no improvements to athletes futures and refuse to answer simple emails from nations about upcoming events. More worrying is that the ICSD President has told the IOC and IPC that he does not need their assistance to develop deaf sport; this misplaced defiance is both arrogant and irresponsible. And then we learn about a senior member of staff, put there by the ICSD President himself; submitting a false Audiogram under an athletes name, putting them in danger of disqualification. Fortunately for that athlete the situation was rectified but let me ask you this- what right do Russia have to the in charge of the ICSD? I want to say to my fellow Deaflympians; do you honestly believe that the ICSD leadership has your best interest at heart? They have so far ignored the Athletes Commission chaired by Dean Barton-Smith and Terence Parkin. They have already been found guilty of manipulating audiograms. They have lied, they have cheated, and they have alienated the IOC and IPC along the way. Deaf Sport currently has no future. Are you really going to sit back and allow this to carry on? We should be in the Paralympics where our best interests will be safeguarded, and also to enhance deaf awareness. There have been talks of a petition for the Deaflympic athletes who really want this change. If you want this change, email Two Big Ears and let them know. This entry was posted in Audiograms, cheating, Deaflympics, Paralympics and tagged Audiograms, Deaf sport, Deaflympics, ICSD, ICSD Congress, ICSD President, Paralympic, Tom Smith by sharrison64. Bookmark the permalink. I totally agree with what Tom Smith is saying in this article. I thinks its a disgrace because it strips deaf athletes of their reputation as honest sportsmen and women. I think it is unjust that we are not in the Paralympics because we do not get any support from the ICSD and would gain much more recognition competing in the Paralympics. I feel, as a swimmer who competed and medalled in the European Deaf Swimming Championships, that the fact there was no doping control meant I was at an unfair disadvantage knowing anyone there could have taken performance enhancing drugs and got away with it, making the sport potentially dishonest. I am totally for the integration of Deaf athletes into the Para movement. I certainly see the advantages for being part of the para movement- funding being a big one, along with status and integrity. As a Deaflympic swimmer and medallist from the age of 12 at the Deaf World Games (Deaflympics) in Sofia, 1993, I remember the CISS vote not to be part of the Paralympics. My experiences within Paralympic training camps as the sole Deaf swimmer in following years confirmed one thing for me: communication is key, and no other athlete was isolated to the same level as I was in terms of information and inclusion. If we are to become a part of the para movement, it will be a huge culture shock to them, the media and so on. Also, we need to be prepared to fight for communication inclusion on a whole new level, which in some ways will be a shame as it will detract from the sport. The IPC, with their millions of pounds of funding they have received in recent years would certainly not have any problems in funding interpreters. Also, the vast majority of deaf athletes in the United Kingdom use hearing technology and are oral. Also, I don’t see the problem in less Deaf athletes being selected for international competitions because it is the same for any other category in the Para’s. And also they will support some form of Games for only deaf athletes on the basis that they will understand not all Deaf athletes will be able to participate in the Paralympics. It is the Deaf Awareness aspect that will definitely arise from seeing Deaf athletes on TV and in newspapers. That can only be a good thing for us. We need to force the ICSD to accede to this – it seems to me that some of the ICSD members are from countries where there is a clout to stop us being part of the Para’s movement. If that is the case, it is a very negative attitude that we will suffer for years to come. Has there been any update on this recently? Any more athletes who have said they will boycott or any updates on any potential changes? I’ve looked on some Facebook pages for deaf sport organizations but I just haven’t seen much of anything.